David Fincher Shares His Thoughts on the Concept of 'Auteur' Filmmaking - Horror News Network - The Horror News You Need! “Auteur filmmaking”- a term used to describe movies which are the product of the sole vision of their director- has been used to describe the process and works of such masters of cinema as Alfred Hitchcock, Stanley Kubrick, and Martin Scorsese since the concept originated in France in the 1940s. The term “auteur” has since been reserved for directors whose approach is so signature and iconic that their works would simply be altogether different had they been directed by anyone else. While the “single-vision” concept has resulted in some of the greatest films of all time, the approach has since taken a back seat to the contemporary “filmmaking by committee” style employed by many major studios (which is why most of the Marvel superhero movies- with some notable exceptions, such as Guardians of the Galaxy– have mostly been directed by newcomers or hired guns with experience in completely different genres, yet they all have the same unmistakable market-tested sense of humor and mind-numbingly unimportant finales). Fortunately, this doesn’t mean that the auteur style is dead entirely. Some contemporary expert directors are currently turning in their best work, and any student of film knows them by name: Denis Villeneuve, Darren Aronofsky, Paul Thomas Anderson, Quentin Tarantino, Christopher Nolan, and David Fincher. These are humble words coming from a filmmaker who is so well-known for his expertly choreographed shots that they require one hundred takes or more, and whose use of CGI is executed with such precision that no viewer would ever know it was there in the first place. Granted, the fact that he is so hard on himself, his work, and his collaborators may be what causes him to be so honest about the fact that no project ever goes 100% as planned. Furthermore, a mistake for David Fincher may likely be so minute that it wouldn’t even be discovered by a less detail-oriented filmmaker. Steven Spielberg once told an incredible anecdote about visiting Stanley Kubrick in post production. They way Spielberg told it, he once asked Kubrick why he was looking at the same shot on eight different monitors. Kubrick explained that they were actually eight very slightly different takes and proceeded to explain the minor differences between each take. As a viewer, Spielberg- a clear master of profession as well- simply wasn’t looking for the same thing out of the image as Kubrick, who was attempting to perfect his vision, so the subtleties were lost on Spielberg as a viewer because all of the shots were likely near-perfect. This anecdote could explain why us viewers- many of us with no formal experience in filmmaking- can’t identify the supposed faults in Fincher’s process and the final product he’s describing. So he’s humble and he’s currently producing some of the greatest works in contemporary filmmaking… never change, David Fincher! 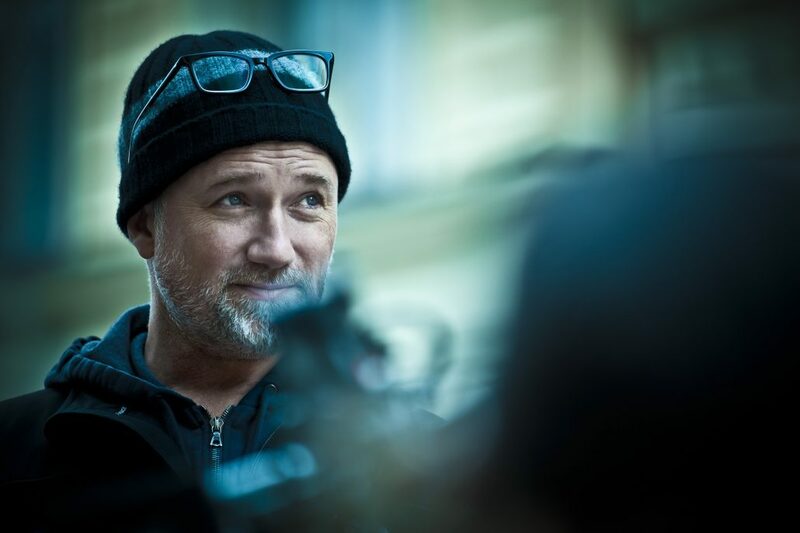 Stay tuned to Horror News Network for more details on the upcoming works of David Fincher and his peers as they break!